It’s Riesling Fever! As we come into some warmer weather, we’re celebrating the release of our 2017 Rieslings. The delicious Spring, RS19 and RS28 Rieslings from the Strathbogie Ranges. 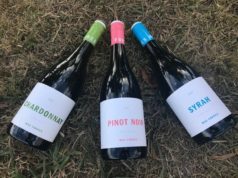 Our 2016 Single Vineyard wines were released on allocation to our Mailing List in August 2017 and are now SOLD OUT. Our 2017 Single Vineyard wines will be released to our Mailing List in August 2018. If you wish to be included in future allocations of these wines, be sure to sign-up to our Mailing List.